Our good friend Mike Rutledge recently stopped by for the night in what could best be described as an aviation time capsule. 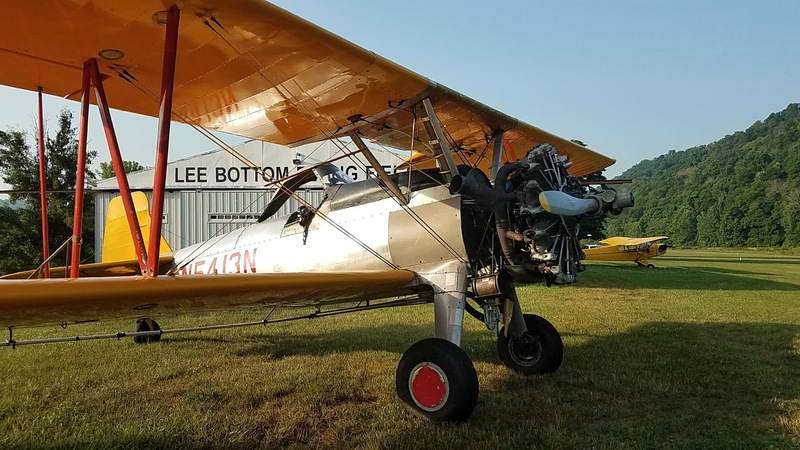 Known to most as "the Beast," it is the last flying unrestored Stearman cropduster in its cropduster configuration. Get that? Essentially a critical piece of aviation history, it is the Stearman cropduster of aviation lore. Drug around by a "1340," lifted by extended wings, and full of hopper tank, it displays the pinnacle of Stearman duster mods in a way that has to be seen to believed. If you happen to run across it somewhere, stop and take it all in. I believe it is one of the most underrated pieces of aviation history flying today. I always wanted one of these to be saved. Now, thanks to the Schiffer brothers, I can rest knowing one has. Flying it was pure bonus. Thanks Mike. I saw the photo of the Stearman and it brought back memories. My late brother Earl S. Wiley was a crop duster pilot working around Milford, Delaware. He flew a 450 Stearman, the company he worked for had two of them. I would be his flagger and also propped the Stearman, washed it, filled the hopper, etc. Me being the kid brother got to do those chores. This was in 1958 I look back on that time with good memories.